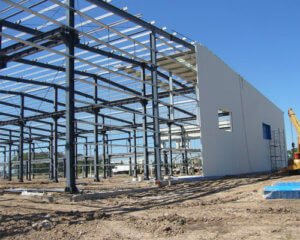 Steel structure refers to a new structural form that incorporates the uses of different structural steel shapes. It is a cost-effective substitute to reinforced concrete building in modern construction for industrial, agricultural, commercial and civil uses. The structural steel serves as the main construction materials for making steel structure buildings, and it falls in a variety of shapes and sizes. The steel structures can be widely applied to build industrial plants, large-span buildings, high-rise buildings, residential buildings as well as composite structures of reinforced concrete. 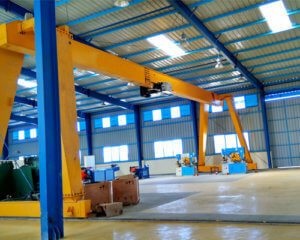 For overhead crane users who are seeking for constructing their own facilities, we offer almost all kinds of steel structures for the individual needs. In regard to different uses and purposes, the steel structures come in varied forms and styles. 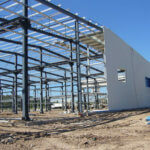 The following are some examples of metal building construction for different occasions. 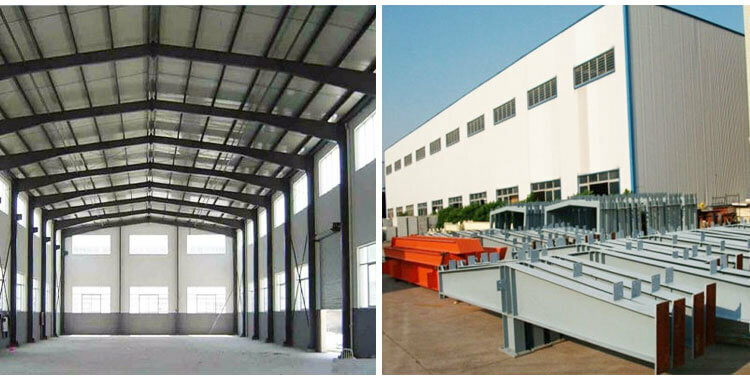 Steel structure workshop: it is a sort of single-story industrial steel structure building , widely applied to manufacturing, assembly and repairing plants. 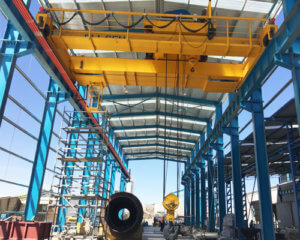 For overhead travelling crane owners who look for a quick project completion, the structural steel workshop is both an efficient and economical construction solution. 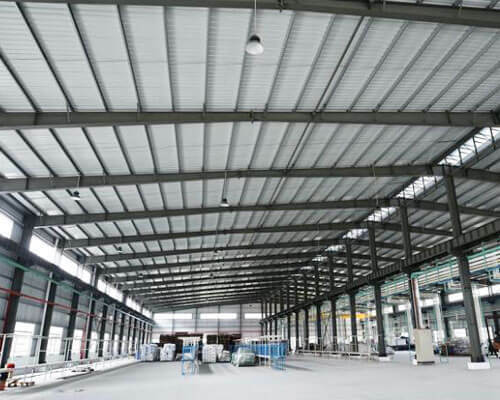 Steel structure warehouse: it is a safe and eco-friendly option for manufacturing plants and other workplaces to store raw materials and goods. 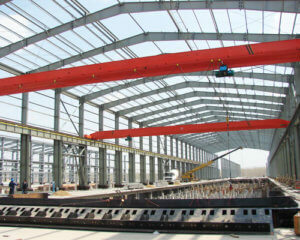 The steel structure warehouse will be fabricated according to your practical needs. Steel structure shed: the steel shed can be used as a storage space, workshop, car shed, farm shed and so on. Unlike concrete construction, it can be built without foundation. 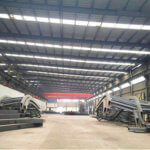 Other steel construction types such as steel structure shop, heavy steel structure, light steel structure and small steel structure are available for you to choose from. 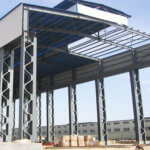 The design of steel structures is highly customized according to your particular uses and local environment. 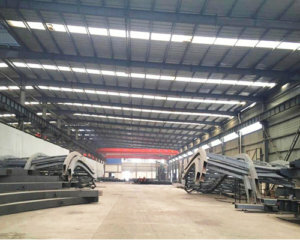 With regard to steel frame construction design, there are typically three styles, including conventional steel structure, bolted steel construction and light steel structure. Each design has its own unique features and advantages. Conventional steel structure construction refers the members of steel will be cut to certain lengths by structural steel fabricators and then welded together on site or partially in the workshop in order to save time. Bolted steel construction, as the name implies, is connected by high tensile bolts. It is a preferred option for many projects as the most of steel structure components will be fabricated in the workshop and then simply bolted into place at construction site, which will bring about fast construction process and accelerate project completion. 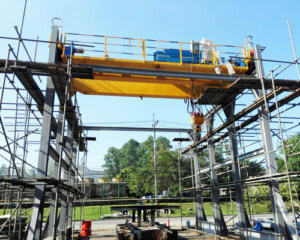 The pre engineered steel structure is a typical example of bolted steel construction. Light steel structure is more often found in small metal construction buildings or residential buildings. The lightweight steel structures generally use thin sheets of steel. Which construction method is right for you? Before making the purchase, you need to consider a few things, such as the specific uses, required dimensions, requirements for seismic rating and wind resistance, and environmental conditions. 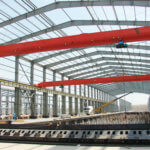 We provide all kinds of steel structure buildings to fulfill your requirements. For more details, contact us online now. Steel frame construction has high strength, great rigidity and durability. It is the most economical building form so that it will help save a great deal of cost. The steel construction has lightweight, making it easy to transport. 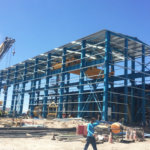 Steel structures will shorten the construction period as they can be prefabricated in the manufacture’s factory and then delivered to the construction site for installation. The erecting process is also quick and easy. 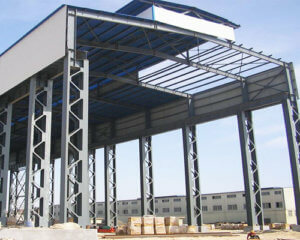 Compare with concrete construction, the steel frame building construciton has better load carrying capacity. The steel structures are versatile, which makes it easy to be assembled, disassembled and replaced. 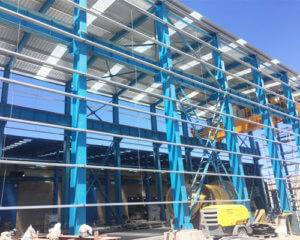 The steel structure workshop is an environmental friendly building form as it can be recycled easily. The steel construction can withstand severe environments and has excellent earthquake resistance. 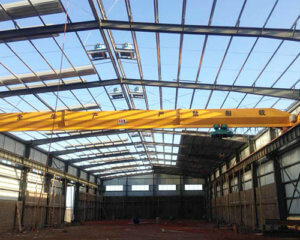 The typical single-story industrial steel structure is generally composed of steel columns, beams, purlins, roof trusses, wall frames, bracing system and crane beams. These components of steel structure are normally manufactured off-site by structural steel fabricators and then erected on site. They will be connected by welding and high tensile bolts. 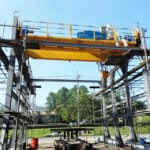 The industrial steel structures can create large span and are quick to set up and into use. The primary structure of steel building consists of Q345B steel columns, beams and purlins, and the steel strength is 345Mpa. 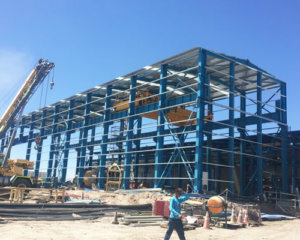 The main framework is formed by connecting H beam, C purlin, Z-shaped purlin and U shape purlin. 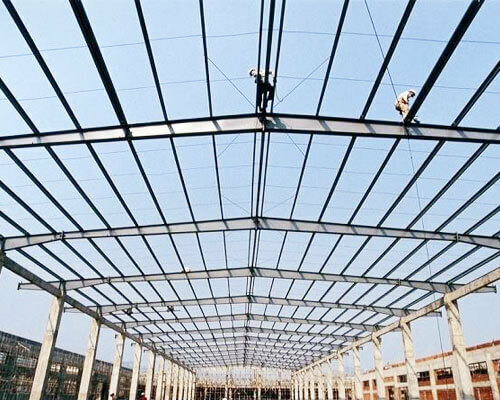 In regard to bracing system, the horizontal roof bracing will use angle steel, wall column and cross bracing will adopt double-layer angle steel. The steel construction panels are available in multiple styles, including single color sheet, sandwich panel and single sheet with insulation. They have a good effect of thermal insulation so that it will save a lot of energy costs. 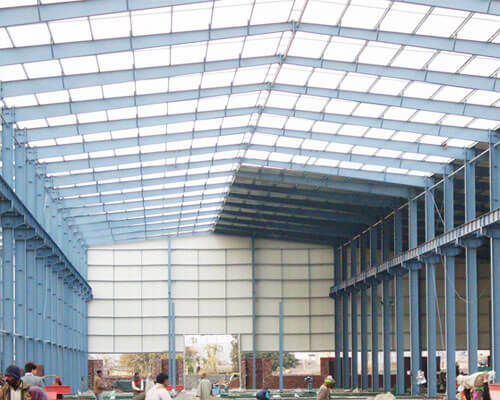 As it is easy to assemble, disassemble, replace and remove the steel construction, the steel buildings can be modified readily according to your particular requirements. Flexible layout provides various possibilities and functions for your facility. Exactly What Is Structural Steel? 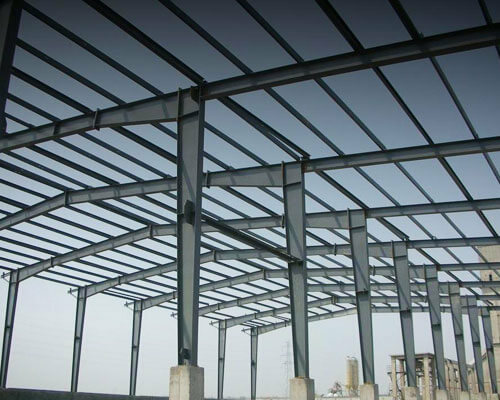 Structural steel is a sort of steel used as the main component of steel construciton buildings, and it is available in various shape, including I-beam, Z-shape, HSS-shape, C-beam, T-shaped cross-section, bar, rod and plate, and each form is for different uses. The structural steel is a kind of highly durable material, most of which come with an elongated beam that has a specific cross-sectional shape, thus the steel construction can support a heavy load as well as withstand a large amount of external pressure. The structural steels are made of the same ingredients, mainly iron and carbon. The strength and ductility of steel is highly determined by carbon content. The more carbon content, the high the strength and lower the ductility. In many construction projects, it will utilize a combination of several materials to produce a proper and efficient structure, such as combining the uses of structural steel, concrete and stonework. But most industrial buildings are mainly constructed by way of either structural steel or reinforced concrete. 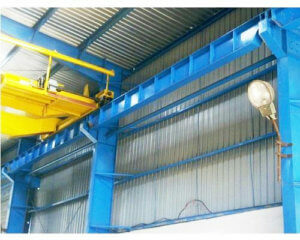 We are professional material handling equipment provider in China, and supply a variety of lifting equipment, such as overhead crane, gantry crane, jib crane, electric hoist and winch product. 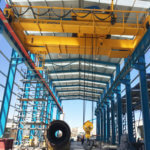 In order to simply the order process for potential overhead bridge crane users who also look for steel buildings supporting the cranes, we offer varied forms and sizes of structural steel construction. The steel structure provided by our company is with superior quality and high durability, thus you can purchase from us with confidence. To learn more about steel structure, email us or leave a message now.